John the Revelator 40 years of ramblin', stringbending, slidin' and wailing Back in 1966 when Eric Clapton delivered his heavily overdriven wailing blues licks on the ?Beano? album with John Mayall's Bluesbreakers, the guitar world was completely shaken up. Legend has it that Eric put his hand flat on the controls of his Marshall combo, moved his hand to the right, setting all controls full power in the process. Back in 1966 when Eric Clapton delivered his heavily overdriven wailing blues licks on the ?Beano? album with John Mayall's Bluesbreakers, the guitar world was completely shaken up. Legend has it that Eric put his hand flat on the controls of his Marshall combo, moved his hand to the right, setting all controls full power in the process. Future Revelator singer and bassman Tom Huissen lived in London at the time that the blues scene triggered by Clapton's trademark guitar work exploded.He became pals with Peter Green, Eric's successor in the Bluesbreakers, and witnessed the first rehearsals of Pete's then new band Fleetwood Mac. Early in 1969 the band adopted the name ?John the Revelator? after the A Capella blues traditional by the great Son House.John the Revelator took off immediately and extensively started gigging the Dutch and European blues circuits that were thriving at the time. Tom Huissen en lead guitarist Frans ten Kleij started a new band called Hellhound.Contrary to what the name suggest Hellhound was not a band of heavily tattooed leather clad boys playing funny guitars at ear splitting levels.The name was simply derived from the great Robert Johnson song ?Hellhound on my trail?.The music of Hellhound still held a strong blues element and can best be described as symphonic blues. Both Tom and Frans had a flirtation with other musicians and musical styles but as blood is thicker than water a new line up of John the Revelator was ready to hit the road again after five or six months.This line up recorded the indie album Empty Road back in 1981.Empty Road never got released on CD and nowadays is as much a collector's item as its predecessor Wild Blues. 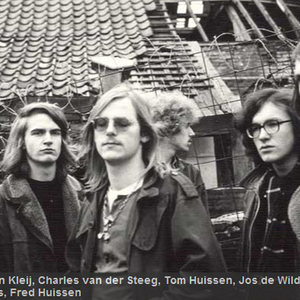 In 1983 Cor Dijkhuizen, drummer to the present day joined the band.Again there was much touring and the occasional reshuffle of personnel.The whole musical history of the band is reflected on the 1989 CD ?Bluesproof', compiled because of the 20th anniversary of the band.All John the Revelator members past and present do their bit at the 20th anniversary concert where ?Bluesproof? is presented to the public.It was during this gig that slide guitarist Paul Dammers decided to rejoin the band after an absence of almost 17 years. Five years later in 1994 the album ?Cahow? saw the light of day. Cahow is a collection of straight blues songs and named after a petrel from Bermuda thought to be extinct. In 1997 a long overdue live album named ?The Tamalone Bluestapes? was released.This album without any overdubs whatsoever contained most of the songs that proved to be live favourites over the years and perfectly reproduces the sweaty stompin' blues drive typical for a Revelator gig. In recent years John the Revelator has jammed with Peter Green, Snowy White,Chris Farlowe and a bunch of legendary Dutch blues guys some of which are featured on the album ?Down in the Mud?. Now that the 40th anniversary is coming near, a new album is being recorded. It will be called ?Underway? after an instrumental by Peter Green which is included on the album.For those who wanna hear some bits and pieces of the new album:click on the banner Underway. Release of the new album is planned for September 2009.